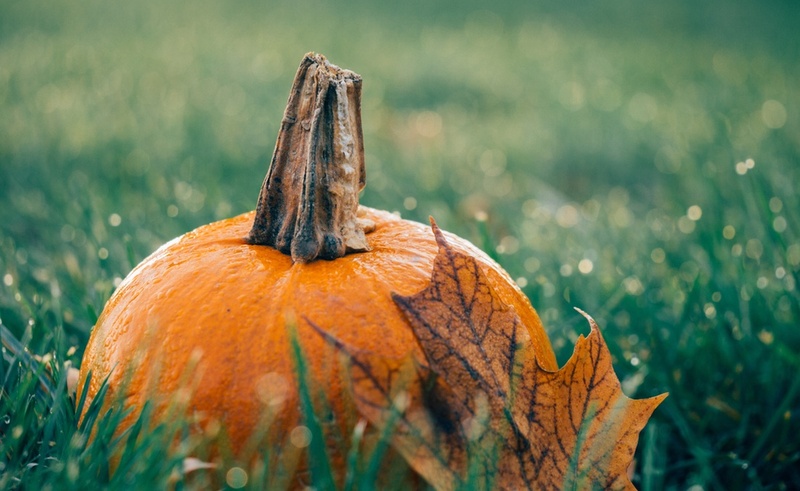 It's that time of year when pumpkins are everywhere: in our drinks, in our pies, and in front of our homes. 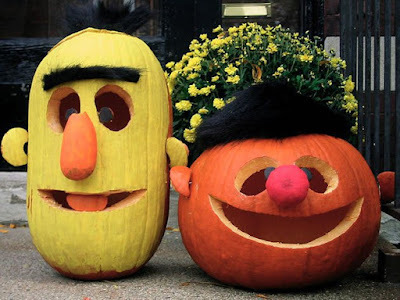 Whether you're an amateur carver or the Picasso of Pinterest, here are ten creative pumpkin carving ideas for this Fall/Halloween season! If you can't be trusted to carve any designs into a pumpkin, even with a template, this is the option for you. It's 100% foolproof and requires all of five minutes. Who knew that googly eyes and gloves could save the day? 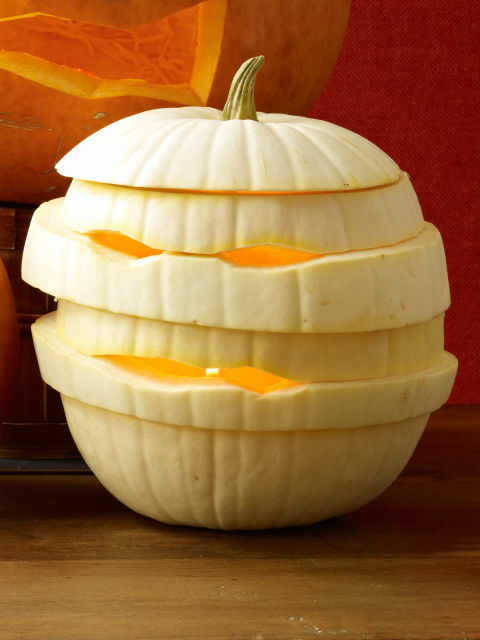 This is a pumpkin I will be carving in the future. It's literally GENIUS. 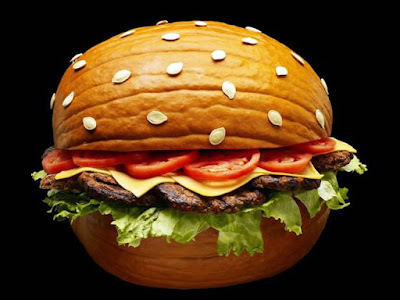 All you have to do is turn your pumpkin into a hamburger bun, and save the pumpkin seeds for the top bun. Just stick some (real?) meat inside, and get as creative with the toppings as you'd like! I obviously don't recommend this one for outdoor use, or for long-term decoration, but you do you. I'm not sure where you acquire plastic eyeballs, but at Halloween they seem to be a hot commodity. 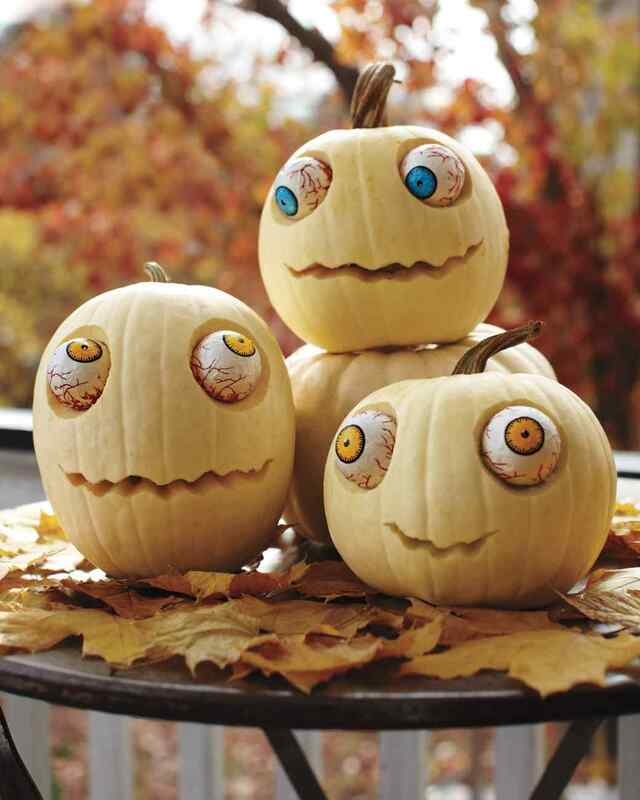 Another relatively foolproof idea, these pumpkins keep the creepy in Halloween without being too laborious to carve. If you're feeling ~spooky~ and have gotten tired of the classic orange pumpkin, try making a mummy! Using a white pumpkin or gourd, cut slices and re-stack them in a different order using toothpicks to secure them to create a wrap effect. 5) The Classy Option: "A Toast to Halloween"
If you're wining and dining, or are just trying to appear cool and classy, look no further. 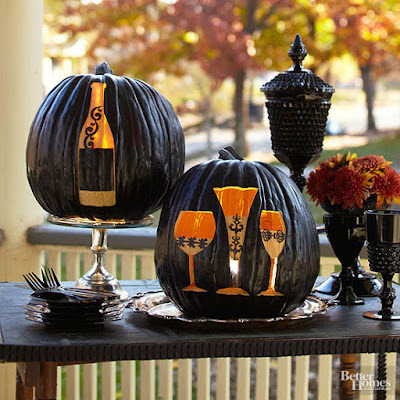 These intricate wine glass and bottle templates are downloadable from the link below, and you can buy fake pre-painted pumpkins if you're feeling too lazy to spray-paint real ones. If you've seen Frozen, you're obviously obsessed with Olaf, so why not make a version of him that won't melt? With three pumpkins and a few twigs, you're good to go. A template for Olaf's face is also available below in case you don't want to rely on your freehand skills. Everyone loves Sesame Street. 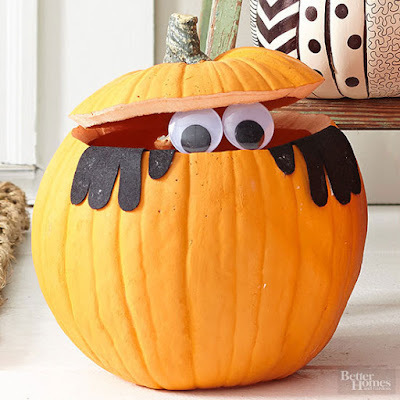 Whether you're carving pumpkins with kids, get stuck with some oddly-shaped pumpkins, or would rather go cute instead of creepy, these are sure to be a hit. 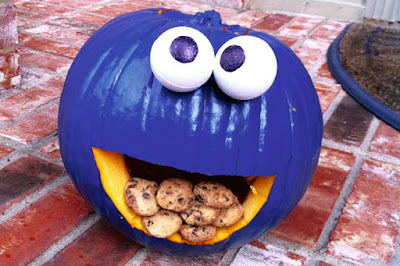 Plus, the Cookie Monster pumpkin doubles as an indoor decoration and cookie tray if you're having a party! 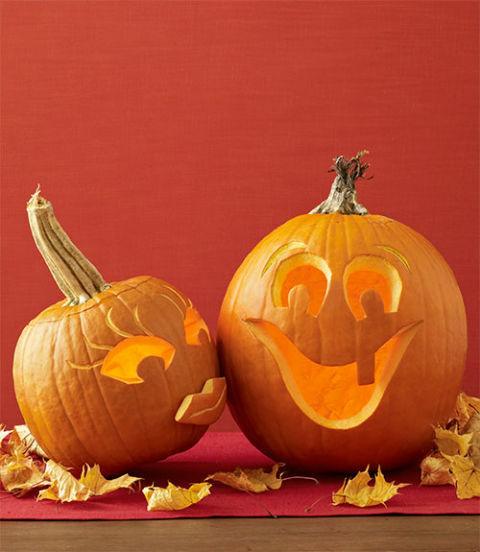 For all the lovebirds out there and/or lovers of love, here's an adorable pumpkin duo just for you. You can get as creative with the faces as you'd like, and just have to keep some of the rind from the male pumpkin's mouth the create the female's 3D kiss. 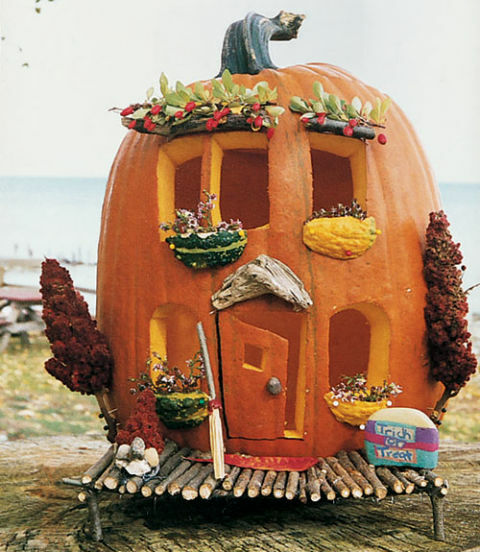 A Cute Abode: Complete with windows, an open door and gourd/berry window boxes, this is a true project for an arts-and-crafts lover. 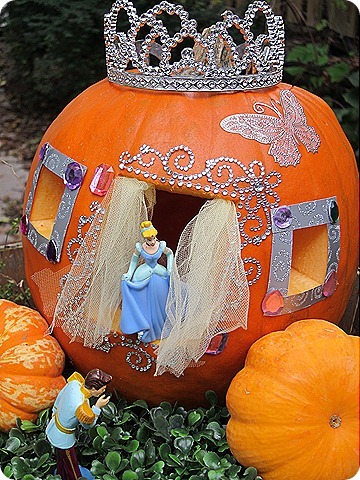 Cinderella's Carriage: If you love bedazzling, here's your excuse to whip out some rhinestones. 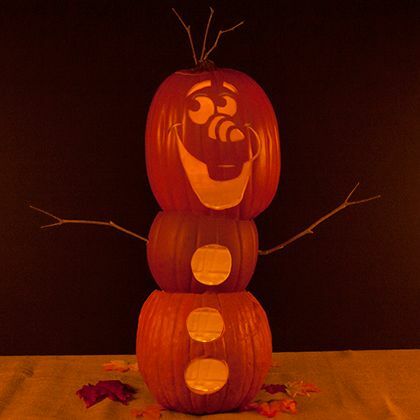 This is by far one of the CUTEST things I have ever seen, and it requires minimal carving. 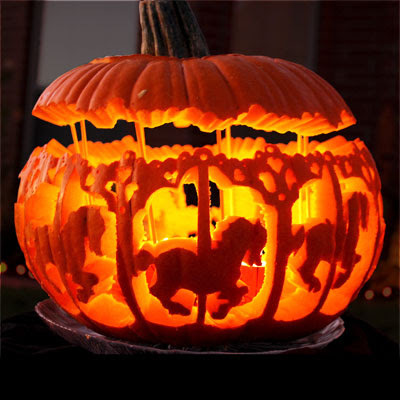 If you are a god's gift to the pumpkin carving world, here's a masterpiece just for you. This haunted carousel will take a lot of time and a lot of effort, but the end result will be 100+ likes on Instagram, and a pretty sweet pumpkin. These are such good ideas. Will have to do one like this next year!